The Philippine Council of Associations and Association Executives (PCAAE) and EventBank https://www.eventbank.com/, a leading cloud-based engagement management technology company, jointly held a panel session on “Best Practices in Membership Management” at the Philippine International Convention Center (PICC). 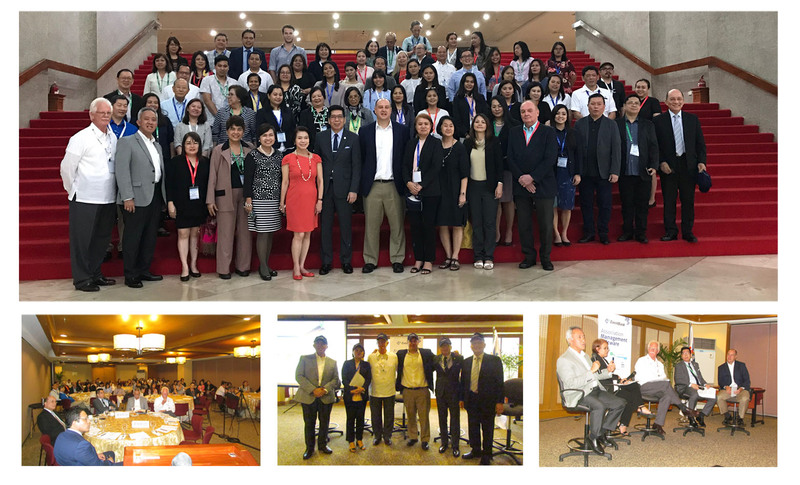 The event, attended by a hundred participants from associations, chambers of commerce, hotels and conference centers, was opened by PCAAE Chair Corazon D. Conde and PICC General Manager, Atty. Renato Padilla. The panel was composed of Mr. Octavio ‘Bobby’ Peralta, PCAAE Founder and CEO, Mr. Charlie Villasenor, Chairman, Procurement & Supply Institute of Asia (PASIA), Mr. Ebb Hinchliffe, Executive Director, American Chamber of Commerce of the Philippines, and Ms. Eloisa M. Acosta, Chief Operating Officer, Institute of Internal Auditors Philippines and was moderated by Mr. Eric L. Schmidt, Co-Founder and CEO of EventBank. The group covered a wide-ranging discussion on membership engagement practices and challenges, member retention rates, key performance indicators for associations, data protection issues, social media, technology adoption, and other related subjects. There was also a Q&A and interaction with the participants. For more details of the panel session, please email Ms. Sandy Lim at [email protected].